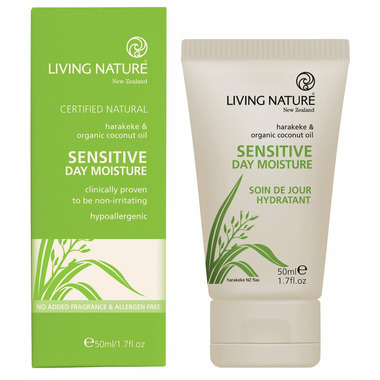 Clinically proven - this perfectly pH balanced, gentle daytime moisturizer features Organic Virgin Coconut Oil, Harakeke Flax Extract and Avocado Oil to provide effective, nourishing care without irritation. Formulated to nurture the integrity of skin's barrier function to visibly restore elasticity while reducing redness, signs of ageing and trans-epidermal water loss. To Use: Each morning smooth a small amount onto face and neck after cleansing and toning. For a lighter application blend with Sensitive Hydrating Toner. 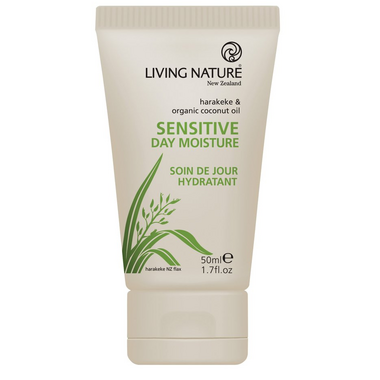 This is the perfect moisturizer for sensitive skin. I'm pregnant and tried to clean up the products I am using and this lotion fits the bill. I started using it in the dead of winter and my skin went from scaly to smooth. A little bit of the product goes along way!! I like this cream. I find it has a high absorption rate, and little to no fragrance. Great after using a Derma roller, followed with a serum then this cream. Hello fresh skin!